The children didn't even notice to begin with, they were so excited when a girl noticed! 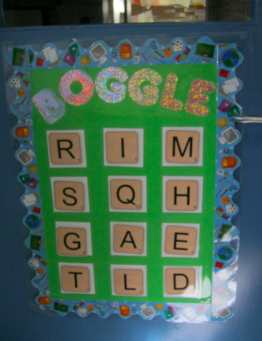 Needless to say, boggle has been full for Word Work the last few days - now not only is there a challenge to find the most words, but to find the largest value word! Phew, so glad that teacher came to visit! If you too would like to change your boggle letters to Scrabble, you can download the letters from my TpT store or TM store (only $1). I have also uploaded them to be part of my Scrabble Classroom Pack. Letters are all in capitals and are 6 to a page! I commented on a blog recently how all the money I have been earning on TpT I have been putting straight back into my classroom! It feels so good to be able to fund my obsession with teaching and learning materials! Hahaha! Here is my newest purchase from book club. They are little plastic domes with two number dice and one operation (just addition and subtraction) inside. 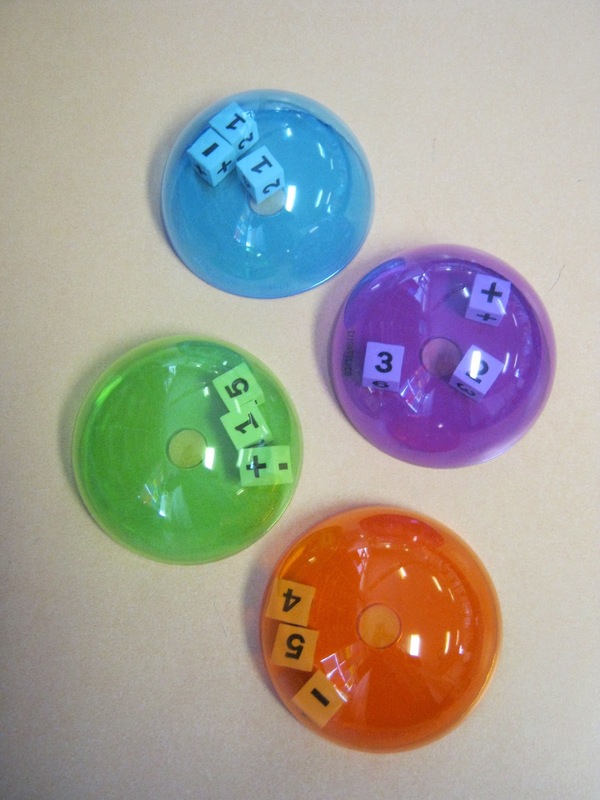 The dice are foam (great for open planned classrooms like mine, I don't like disturbing the teacher next door!) and the back is removable (see the hole? you can put your finger in there!) so you can put more dice in and change up the operations. Fabulous right!?! I found them online here! 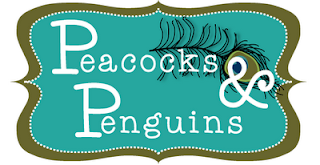 Heather at Peacocks and Penguins is having a 3 massive giveaways to celebrate 200 followers! Head over and check it out! I am also hoping to have a giveaway soon to celebrate 100 followers - if you would like to celebrate with me and donate an item, I would definitely repay the favour for your giveaways. Please leave a message if you are interested! Thanks so much! Love the boggle/scrabble board! Awesome idea! An Educators Life & Fabulous Recommendation! And Another Week Down! 1 Week to Go! So Excited, I Had to Share!!! !